Arsenal’s Alex Iwobi has asked Nigeria fans to remain hopeful and continue to show their love for the Super Eagles ahead of this month’s crucial pair of Africa Cup of Nations qualifiers against Egypt. The Eagles trail the Pharaohs by two points in Group G and need at least four points over two legs to ensure they keep alive their hopes of reaching Gabon 2017. The fast emerging Arsenal star expressed his happiness at making interim coach Samson Siasia’s squad. "I call on all Nigerians to rally round the Super Eagles in the two crucial matches against Egypt. I am aware that historically matches between Egypt and Nigeria are very competitive, however, with the calibre of players both home and abroad I am confident we shall triumph against a very difficult opponent,” Iwobi told Goal. Alex is making remarkable progress at Arsenal this season and is working hard to secure a regular place in the first team. 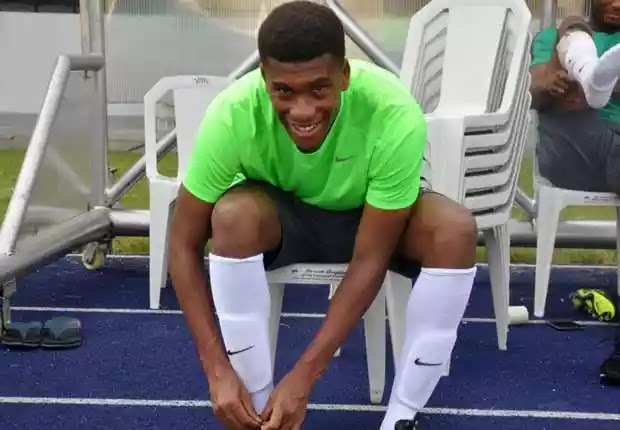 Since switching allegiance from England, the 19-year-old has represented Nigeria in two friendly matches against Cameroon and DR Congo and is looking forward to his first appearance in a competitive match. He was also called up to the Nigeria U23 side that will play Brazil U23 in a friendly match on March 24. However, it is understood that the midfielder will settle for the senior team due to the more crucial nature of the encounter against Egypt.